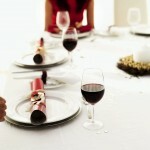 Avoiding Holiday Weight Gain is as Easy as 1, 2, 3! Problem 1: You’re out shopping when your stomach begins to growl. You planned to be home in time to eat, but the long checkout line, the crowded parking lot, and the bumper-to-bumper traffic between the store and your home are making that impossible. Solution: Bring a healthy, portable snack with you no matter where you go (even if it’s just a “10 minute errand”). Try something simple, like a piece of fruit or a few heart-healthy nuts. Problem 2: There’s a party later this evening, and you decide to skip lunch and your afternoon snack to “save” calories. Now it’s party time, and you’re starving – but the food there is not what you would consider healthy. Solution: Keep your regular eating schedule, but choose lighter options for each meal. Also, eat a high-protein snack before the party to help keep you full while there. These strategies will reduce the risk of overindulging on unhealthy party foods. “Little tastes” of food can quickly add up to more calories than you would expect. This is true for when you are at home or at a party. While the holidays are joyful, they can also be stressful. Do yourself a favor, and make time each day to engage in physical activity. You don’t have to go for a run (even though that would be an excellent idea), but you should do your best to move as much as possible. Even parking farther from the store, or taking the stairs instead of the escalator while shopping, will help. Exercise is a proven stress-buster, and it will help to balance out any extra calories you may be eating. Have a happy (& healthy) holiday season! Laura is currently a graduate student in the University of Pittsburgh’s Coordinated Masters in Nutrition and Dietetics program, one semester away from being eligible to become a registered dietitian. Connect with Laura on LinkedIn or on twitter (@lmaydak) for motivation and tips to live your healthiest, happiest life – all given with a healthy dose of humor.